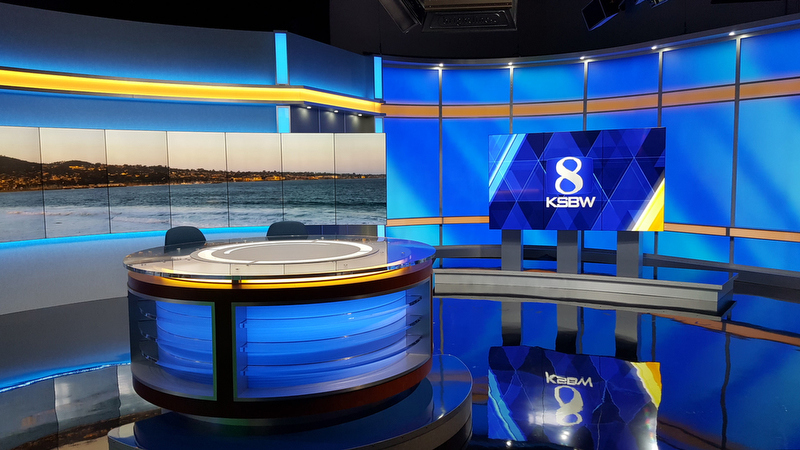 Hearst’s KSBW-TV, serving Monterey and Santa Cruz, California, went online with a new set design last week from Z Space Creative. 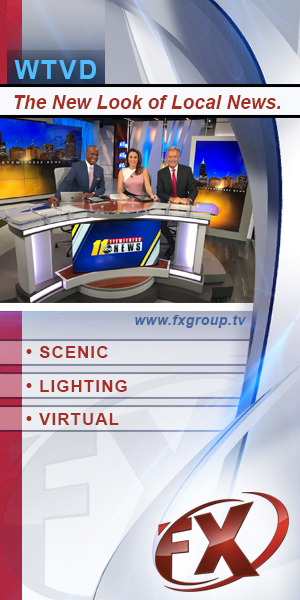 The design includes a 9×1 video wall camera center that showcases views of the city and country side, flanked by backlit columns and a bright yellow header. 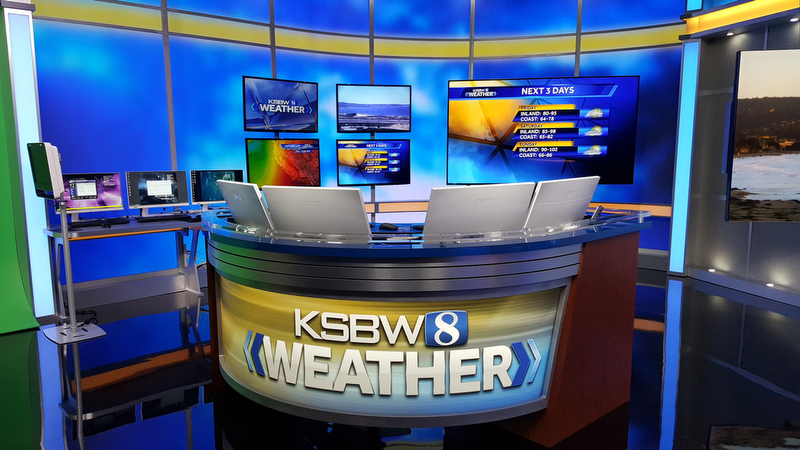 “From this new weather center and its latest forecast technology; to this new central anchor desk with enhanced audio and communications; to over here where I am, at our new presentation area. Our investment in our news operation is two-fold. Just like your home or business, sometimes it’s just time to update and remodel,” writes Joseph Heston, the stations GM and president in an editorial. 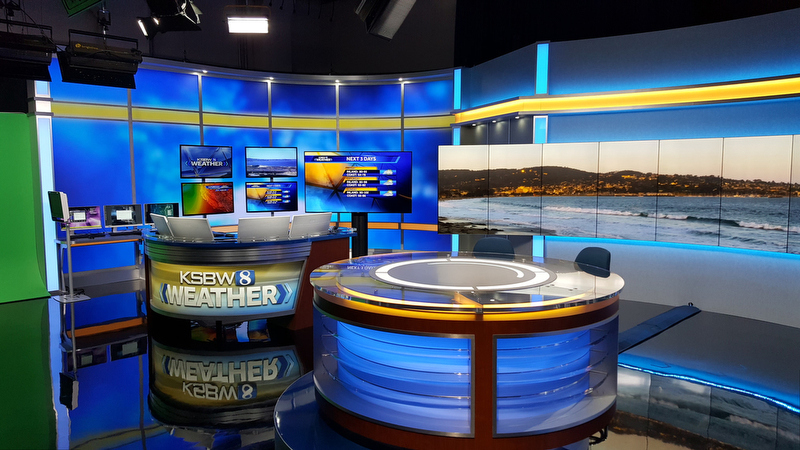 The sets anchor desk features a round design that can accommodate both sitting and standing, with a bright backlit front that has horizontal plexiglass panels. To the right, a 3×1 vertical monitor wall is used for reports and sports, backed by a wall of LED video curtains. A working weather center is located on the left, with a pod stocked with technology and more monitors.